Star CNC, a division of Star Micronics Co., Ltd. of Japan, will introduce a new 10-axis Swiss-type automatic lathe at IMTS. 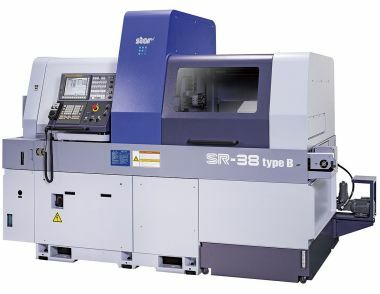 This latest addition to the Star CNC product line, the SR-38, sets a new standard for machining of complex, large diameter parts with high efficiency. Rigid machine construction is designed to handle bar stock up to 1-1/2" (1.500) diameter. With B-axis versatility, complex parts can be produced in one operation with the precision and accuracy required by quality critical applications in a variety of industries. Star's proprietary motion control system further optimizes machining operations and significantly reduces idle machine time. In addition, Star CNC will introduce two additional machines -- SV-20R and SR-32JII with upgraded capabilities.